It’s the most beautiful time of the year, lights fill the streets, spreading’ so much cheer. The holidays are a time when twinkling lights brighten up our world. The city is aglow, and it feels like magic is in the air. All the places listed below have purchased Christmas Lights or Décor from us at Christmas Forever this year. The CF Collection boasts Canada’s widest selection of Christmas Décor. Each season, we design a new selection of holiday decor perfect for whether you are looking to be the most festive house on the block or decorate with small accents here and there. Over three million dazzling lights decorate acres of the dark forest, reaching as high as the forest canopy for Bright Nights in Stanley Park. The Bright Nights Christmas Train is a highly festive event that will have you wanting to sing all the Christmas songs. Your donations and a portion of ticket proceeds will go to the BC Professional Fire Fighters’ Burn Fund. The attraction is also accompanied by, music, snacks, entertainment, and even visits with Santa and his elves. This is one of the best places ever to experience the romance and magical lights of Christmas. 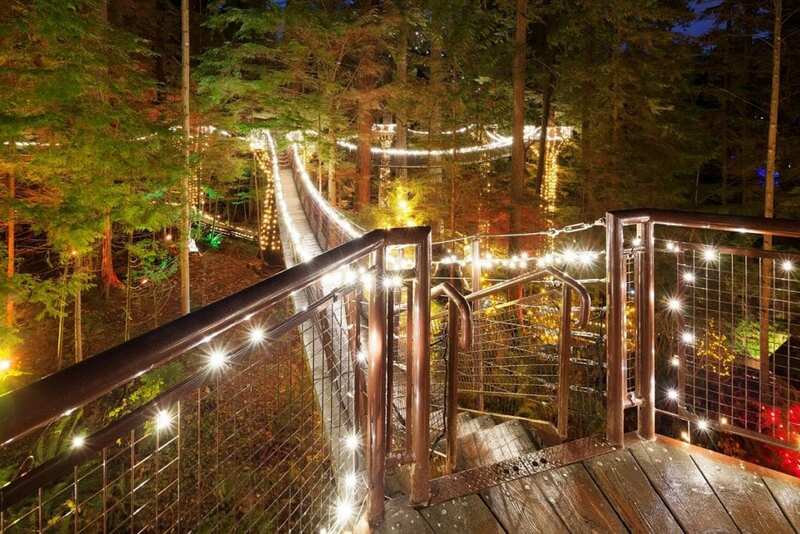 Every year the entire Capilano Suspension Bridge park transforms into an enchanting winter wonderland of dazzling lights and holiday cheer. Experience the voice-activated light show, go on a scavenger hunt throughout the park, sing along with the holiday band, take a family photo at the Winter Pavilion, and more. You can even see the world’s tallest living Christmas tree here which is over 200’ tall! Grouse Mountain transforms into a magical winter wonderland every year. 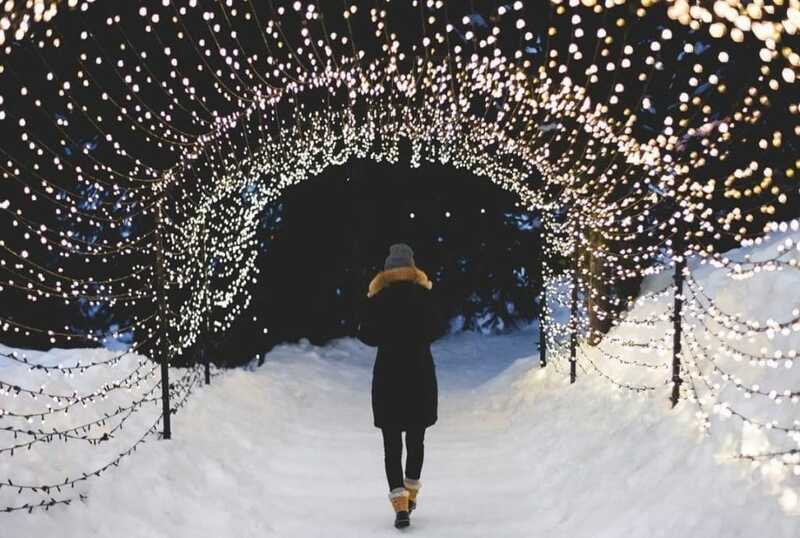 The Light Walk steals the show with its stunning string of lights glowing against the snowy covered mountain backdrop. Walk though the light tunnel and lanterns while enjoying the snow. At The Peak of Christmas, you can see Santa and skate on an 8,000 square foot mountaintop Ice Skating Pond. There’s also a cozy chalet and other Christmas festivities at the top of Grouse Mountain. 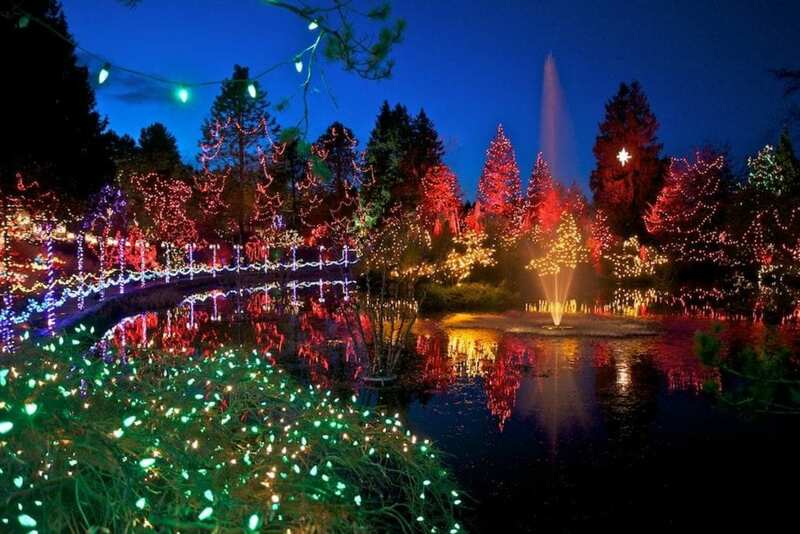 Vancouver’s breathtaking botanical garden will be glowing with over 1 million twinkling lights this holiday season. 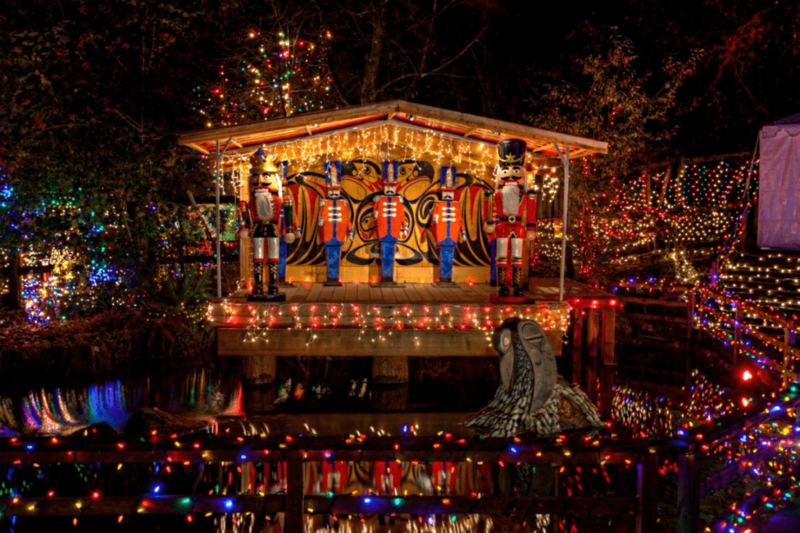 Enjoy all the entertainment at VanDusen this winter, such as the famous Dancing Lights show on Livingstone Lake, lighting a candle at the Make-A-Wish candle grotto, taking a photo with Santa, and more.